Auvent PR offers a wide range of PR solutions for your business. There are so many ways to get your message out there today, that navigating the PR landscape has never been more challenging. But don’t worry, we’re here to steer you through it. With more than 20 years’ experience in journalism and PR, we can tell you all the options, use our knowledge and contacts in the media to provide you with the advice you need for us to deliver the right PR your business. We keep it simple – no fluff, no jargon – and take huge pride in the professional and personal service we deliver along with the results we achieve. We work with all shapes and sizes of businesses, from start-ups to SMEs, and across a range of sectors. We embrace the digital revolution, which has enabled us to not just work with businesses in the UK, but also across Europe, the Far East, the US, Africa and even Australia. Words are our forte (hence our love of the typewriter), but we also have a network of web designers, graphic designers, photographers to call on if required. Our work is created to deliver impact. Whether it’s a press release, a magazine article, a blog, social media posts or your next corporate brochure, our aim is to generate interest in your business and resonate with your customers. Finally, you might be surprised that we do all this as a small, but perfectly formed, PR business that embraces freelancing. This means fewer overheads, so no huge price tag. Get in touch and see what PR solutions we can do for you. Got something you want to shout about? We know how the media works and how to get you that crucial coverage for your business. We can handle PR strategy, press release writing and distribution, media relations and generate interview opportunities. Whether you are organising an event or attending as an exhibitor, we have experience of delivering successful PR campaigns across digital and traditional media channels to meet your goals. We can work with your PR teams – or be your PR team – and ensure that you create a real buzz. Wherever your business is visible the copy needs to sing and represent your business’ values and ethos. Whether it’s website copy, a blog, corporate brochures, case studies or a newsletter – it all needs to be crafted. Our writing skills can bring fresh ideas and new life to your business. Auvent PR was founded by journalist Lee McLaughlan. He began his career at the Redditch Advertiser in 1998 and worked for a range of titles across the Midlands. After a decade of covering major news stories and international sport, Lee switched to PR. 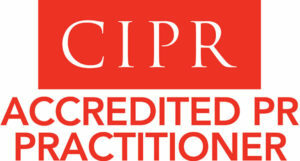 An Accredited PR Practitioner with the CIPR and a member of the PRCA, the UK’s two main PR organisations, he has held senior PR roles for 12 years, and was pro-bono communications director for Round Table. His last role was with a UK government-funded technology R&D business at the cutting-edge of Industry 4.0, and involved working with governments, agencies and blue-chip companies. We are always impressed with the range and quality of blog articles from Auvent PR. No matter what the subject, they are well researched, engaging to read and delivered on time. We couldn’t ask for anything more. When we approached Auvent PR we wanted PR coverage, which they secured in various publications. We built on the relationship with creative social media work across Facebook, LinkedIn and Instagram, which has not only increased awareness of our e-commerce website but also lead to increased sales and growth. I have used Auvent PR for a number of months on a range of writing and PR projects. Whether it’s a press release, op-ed, feature, speech or overseeing a publication project, Lee has delivered – and quickly. Always a pleasure to work with. Lee was fantastic, managed to earn some last-minute coverage for our event and boosted attendance to our stand through social media activity. Nothing was too much trouble and he really went above and beyond - highly recommended!